Every moment, your brain processes incredible amounts of information. This processing allows you function: to make decisions and take actions. The majority of this goes on behind the scenes, a necessary efficiency that means you don’t have to “think” about most of your activity. For example, the minute calculations your brain makes to accomplish simple things, like walking across the room to open a door. Or more complicated things, like assessing a fellow human being. Your brain is able to process situations quickly because it relies on what it already knows—or thinks it knows. Your memories help your brain categorize and sort information so it can be quickly analyzed without your awareness. All of your experiences and impressions inform your current actions, and help your brain make automatic conclusions. Research shows that your brain makes decisions up to 10 seconds before you even realize it. This indicates that most of your “conscious” decisions are really unconscious, leaving you with limited space for free will in decision-making. Instead, your brain reaches conclusions based on what is already familiar, safe, likable, valuable, and logical. Unconscious (or implicit) bias occurs when this automatic processing is influenced by stereotypes, and therefore those stereotypes impact your actions and judgments. A stereotype is a belief that associates a group of people with certain traits or characteristics. A stereotype is a prejudgement of a person, based on a group s/he may be associated with. Stereotypes tend to be fixed and oversimplified images or ideas. You’ve been exposed to countless messages that define groups of people. For example, society has presented you with representations of what it means to be “masculine.” These representations are repeated by media, teachers, and influencers. Once internalized, these stereotypes shape your thoughts and actions, allowing you to meet a new person and instantly decide whether that person is “masculine” or not. Unconscious bias is a natural, universal method of cognitive processing. Nobody is exempt. Even if you don’t believe in stereotypes, once you’ve been exposed to them, they’re in your brain—and they can influence your decisions. Most people think of themselves as egalitarian and unprejudiced. But unconscious bias shapes us all. In medical school, doctors are taught that their personal backgrounds, and the characteristics of their patients, should be excluded from clinical decisions. But in reality, healthcare providers are just as susceptible to unconscious bias as the rest of us. Many non-medical factors influence medical decisions, including a patient’s style of dress, their race, ethnicity, and gender, their insurance status, and the clinical setting (i.e. “bad neighborhood” versus “good neighborhood”). Evidence shows that medical conclusions can be based just as much on who a person is as on the symptoms they present. Unconscious bias can lead to false assumptions and negative outcomes. This is especially dangerous in healthcare, where decisions can mean life or death. 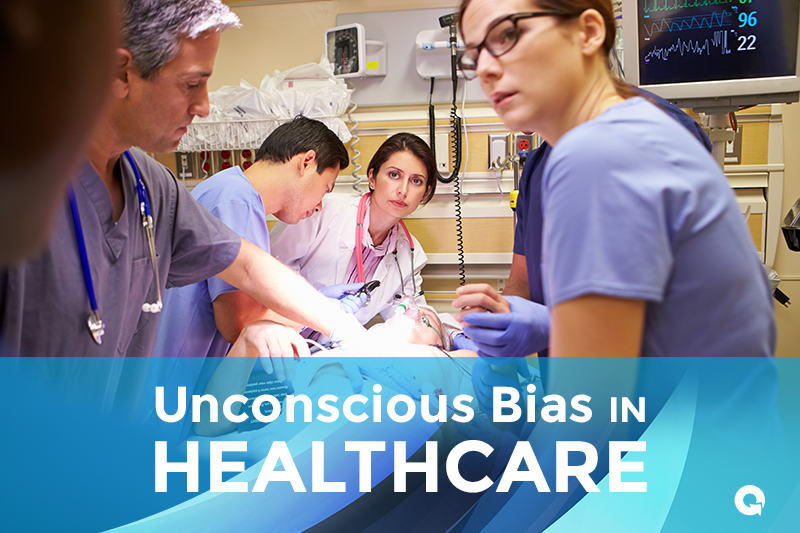 As more attention is paid to health disparities in the United States, there is increasing evidence that unconscious bias leads to negative outcomes for minority groups in healthcare settings. This in turn contributes to health disparities, in which certain groups experience inequalities in the provision of and access to healthcare. White male physicians are less likely to prescribe pain medication to black patients than to white patients. Doctors assume their black or low-income patients are less intelligent, more likely to engage in risky behaviors, and less likely to adhere to medical advice. Pregnant women face discrimination from healthcare providers on the basis of their ethnicity and socioeconomic background. Women presenting with cardiac heart disease (CHD) symptoms are significantly less likely than men to receive diagnosis, referral and treatment, due to misdiagnosis of stress/anxiety. Health disparities impact everyone, not just the groups that are discriminated against. Disparities limit the quality of health for the broader population as well, by curbing innovation and reducing overall quality of care. There are vast social, moral, and fiscal implications that will only become more pertinent as our population diversifies. 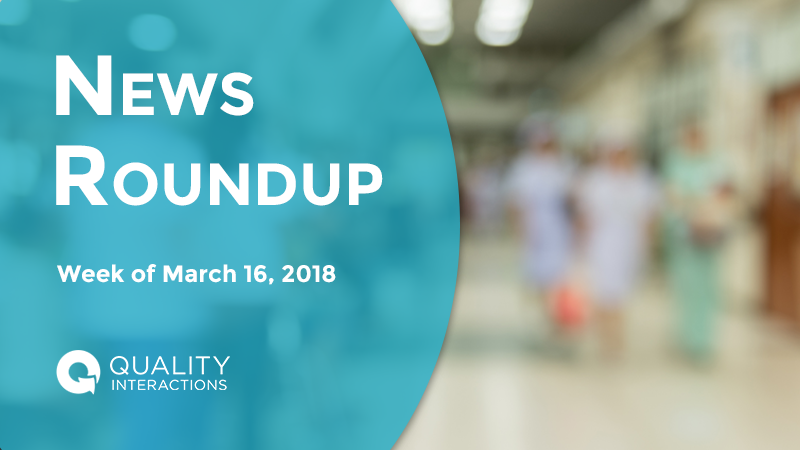 It’s imperative that we address the root causes of health disparities, which include social determinants like education and poverty, and are compounded by unconscious bias on the part of healthcare providers. Acknowledging that unconscious bias exists is an important first step to overcoming it. Nobody wants to believe they’re part of the problem. When you think about stereotyping, your first reaction is probably “not me!” But when you start to identify stereotypes that are prevalent in our culture, you’ll realize how many you’ve been exposed to and how insidious they can be. The good news is that, once you’re aware of unconscious bias and your own susceptibility to stereotypical thinking, you can take steps to control it. A number of techniques may be used, and one of the most effective is the person-centered approach. The person-centered approach requires you to recognize stereotypical thoughts as they occur, and to discount them. Instead of relying on assumptions, you must train yourself to focus on the individual as your primary source of information. Overcoming unconscious bias isn’t easy. It’s a lifelong process that requires time and attention. The best way to start, as an individual or organization, is with a proven framework—such as a cultural competency training and education program. We didn’t develop our unconscious bias alone, and we can’t vanquish it alone. Rather, our ideals must be reflected in our broader culture, until the person-centered approach to communication is the new normal. Nowhere is this effort more important than in healthcare, where inequality and discrimination are a matter of life and death. Quality Interactions can help you overcome unconscious bias in healthcare. Explore our online cultural competency course catalog, including the popular course designed for all healthcare workers, Recognizing and Overcoming Unconscious Bias. Does your organization need a boost to initiate comprehensive cultural competency training? Apply for a Jumpstarter Award today.